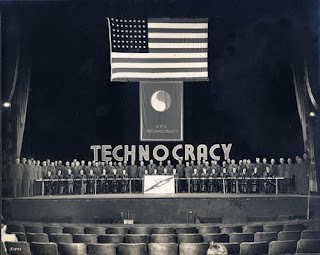 The term technocracy within the English vernacular attains a measure of precedence from the Greek words tekhne, meaning skill, and kratos, meaning power, as in government, or rule. Thus, the correspondent lexiconal derivative, 'technocracy,' denotes a system of government where those possessing the greatest degree of knowledge, expertise, or skills relevant to each of their respective fields assume a mantle of authority within the predominant administrative and legislative paradigm. Adherents to such philosophical ideologies who actively seek to facilitate the implementation of a technologically based system of governance are known as technocrats. Such government legislative entities may possess a considerable number of implementations within preexisting administrative constituencies that are inclusive of the prevailing scientific community, with ultimate objectives seen to coincide with the attainment of technological singularity. President Dwight D. Eisenhower’s legendary farewell speech is often cited in condemnation of the Military Industrial Complex, which is intimately connected to the subject at hand. However, there is another little discussed yet vital topic in the latter half of his speech. I firmly believe that in the absence of historical background and full spectrum context, present day and future issues cannot be fully understood. 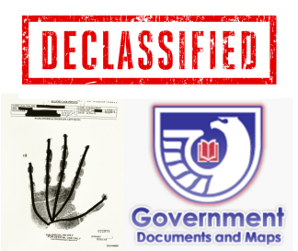 This report will attempt to clarify the essence of the term “Scientific Dictatorship” by providing historical context and stories of the individuals involved in its modern manifestation. The ideological roots of the Scientific Dictatorship can be traced to the works of Plato some 2,000 years ago. In truth, humanity has been battling the formation of this tyranny for much of known history. 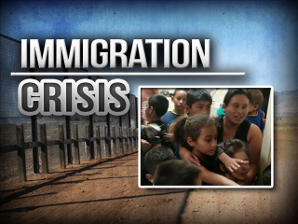 The formation of the United States Constitution created a barrier that H.G. Wells wrote in 1901, had “…to be modified or shelved at some stage…” The focus here is on the modern forms of scientific power that began in the 20th Century and are blossoming in the 21st Century. The Scientific Dictatorship is composed of unelected individuals that have access to the reigns of power. These individuals have access to undisclosed future technology, classified intelligence, and the ability to steer scientific research that impacts our entire society. The works of Bertrand Russel, Julian Huxley, Aldous Huxley, Charles Galton Darwin, H.G. Wells and many others provide the mental framework from which this modern tyranny is based upon. The following are several examples of men who helped form the Scientific Dictatorship of the 21st Century. For readers who are new to this information, what you see here is a small portion of the full kaleidoscope of information available. This will give you a start for any in-depth research that you should decide to do. Born in 1890, Vannevar Bush would become the first Science Advisor to the United States government during World War II under President Franklin Roosevelt. Bush played a vital role in the creation of what we know today as the Military Industrial Complex. 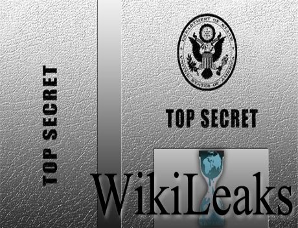 Specifically, the method of scientific research of this gargantuan organization – beginning with the Office of Scientific Research and Development – was devised by Vannevar.The roots of the Internet can be traced to Bush’s ideas in 1945. The forerunner to the computer itself can also be attributed to his early designs. With the help of the large foundations, Vannevar Bush pioneered many of the modern instruments of the scientific dictatorship. Bush’s most notable accomplishment was serving as the organizer of the Manhattan Project which produced the Atomic bomb. Figure 1. The Trinity Test - Widely acknowledged as the code name derivative representation of the first detonation of a nuclear weapon, the Trinity Test was conducted by the United States Army on July 16, 1945, a resultant by-product of the Manhattan Project. Trinity utilized an implosion-design (Implosion specificity incorporates the use of fissile mass, predominantly in the form of U-235 - Uranium 235 or Pu-239 - Plutonium 239, that serves as a type of incendiary catalyst that effectively facilitates the act of molecular compression, resulting in criticality) plutonium device, informally nicknamed “The Gadget” or “Christy[’s] Gadget” after Robert Christy, the physicist responsible for the implosion method used in the device. Using the same conceptual design specifications, the Fat Man weapon was detonated over Nagasaki, Japan on August 9, 1945. 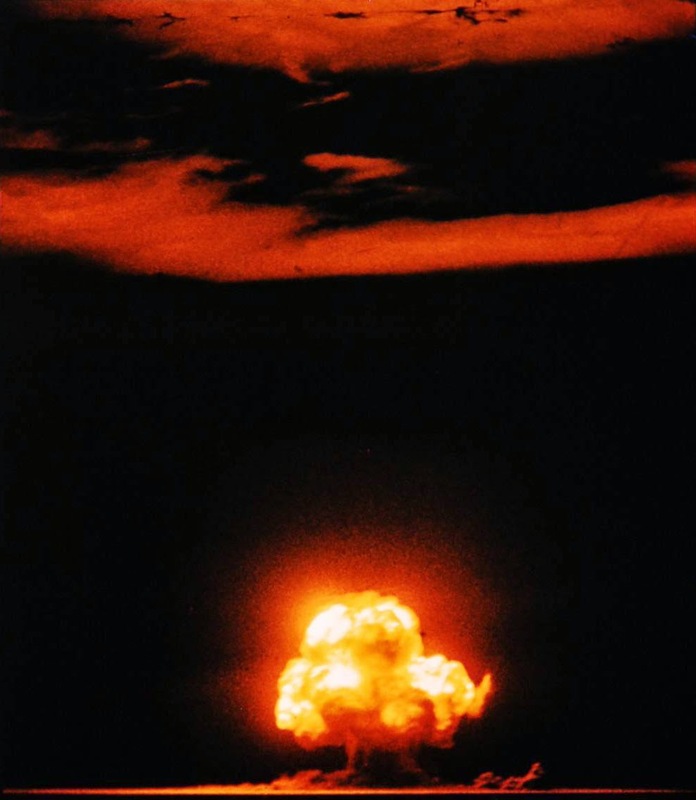 The explosive sequence associated with the Trinity experiment produced a 20 kiloton TNT (TriNitroToluene) blast equivalent, approximately 84 TJ (Terajoules)* in intensity. *NOTE - The Terajoule (TJ) is equal to one trillion (1012) joules. Approximately 63 Terajoules were released by the Atomic bomb that was detonated over the city of Hiroshima on August 6, 1945. Bush’s work with the Manhattan Project helped to cement the centralization of scientific research under the U.S. Military. This amalgamation of research and development has since then developed into a network of contractors and agencies. One of the world’s largest defense contractors of today is the Raytheon Company, founded by Vannevar in 1922. Much of the technology that is initially developed by the military is inevitably released into society. DARPA (Defense Advanced Research Projects Agency) would eventually develop the Internet and bring it to reality. While the Internet is being used today as an unprecedented tool for surveillance, it is at the same time serving as an unmatched medium for activism. 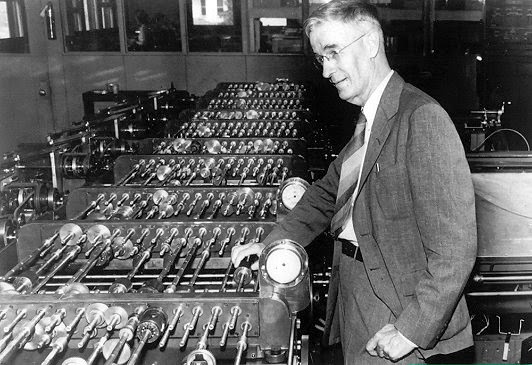 From 1935 to 1946 the Rockefeller Foundation funded Vannevar Bush’s development of the mechanical differential analyzer at MIT (Massachusetts Institute of Technology) for a total of $230,500. This device, along with the Hollerith machine, is considered to be one of the forerunners of the desktop computer that we all know and use today. Much of what Vannevar Bush set in motion led directly to the explosion of technological advancement that we are witnessing today. While technology itself is neutral, the elites that are directing its development are doing so with specific agendas in mind, and we are not being asked to debate it. Herman Kahn is known as one of the founding fathers of future studies. After working for the RAND Corporation, Kahn founded the Hudson Institute in 1961. The satirical film Dr. Strangelove is largely based on real documents and ideas that came from RAND. 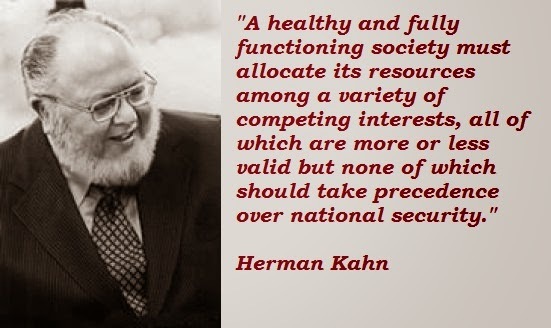 “…Herman Kahn has been a major figure in one of the most fascinating shifts of power in U.S. History: from identifiable public leaders to the ‘action intellectuals.’ As counselors to the decision-makers, men such as Kahn often have access to future technology (what is known, but not yet disclosed) and official intelligence (what is known, but not yet revealed, about the capacities and plans of other nations). 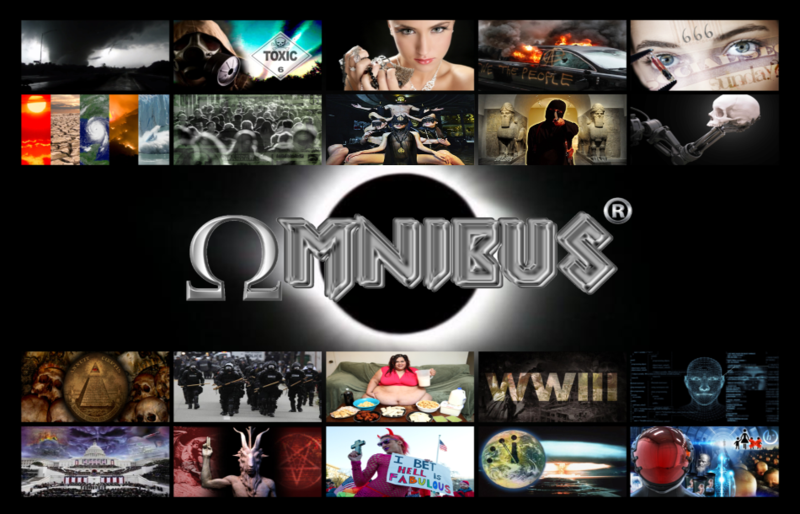 This process of invisible power is further enabled by the annual secret gatherings of the Bilderberg Group – founded in 1954 – which consist of international bankers, CEO’s of major tech corporations, editors of major news outlets, and other power brokers. An historical example of this process in action is the formation of the European Union’s common market, which was developed behind closed doors at a 1955 Bilderberg conference in Germany. Ivy Lee is considered to be the first public relations man. Lee was hired by John D. Rockefeller Jr. to recast the family’s image after the infamous Ludlow massacre. A more widely recognized figure in PR is Edward L. Bernays, the nephew of Sigmund Freud, who helped to significantly advance the study of propaganda into the 20th Century. In his 1928 book Propaganda, Bernays informs readers about the true ruling class in our society. We are governed, our minds are molded, our tastes formed, our ideas suggested, largely by men we have never heard of." Water Fluoridation was also sold to America with the help of Bernays. As detailed in The Fluoride Deception, Christopher Bryson explains Bernays’ connection with the National Institute of Dental Research. Much of the Scientific Dictatorship’s agenda would stop dead in its tracks in response to the simple act of the people becoming aware that there are attempts to manipulate our minds. How Does the Scientific Dictatorship Operate? As Dr. Lily E. Kay has documented in her book The Molecular Vision of Life: Caltech, the Rockefeller Foundation, and the Rise of the New Biology, large foundations effectively set in motion the entire scientific technological agenda for the 20th Century. Under the “Science of Man” agenda, the physical makeup of human beings was studied, and methods to alter various biological processes were devised. 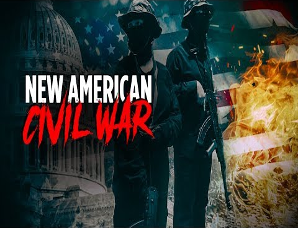 This inertia rippled throughout society and impacted the minds of the intelligentsia that were totally unconnected to the core group responsible for organizing the central project. The Scientific Dictatorship often operates under the cover of darkness, under national security, private contractors, and deep levels of government secrecy. 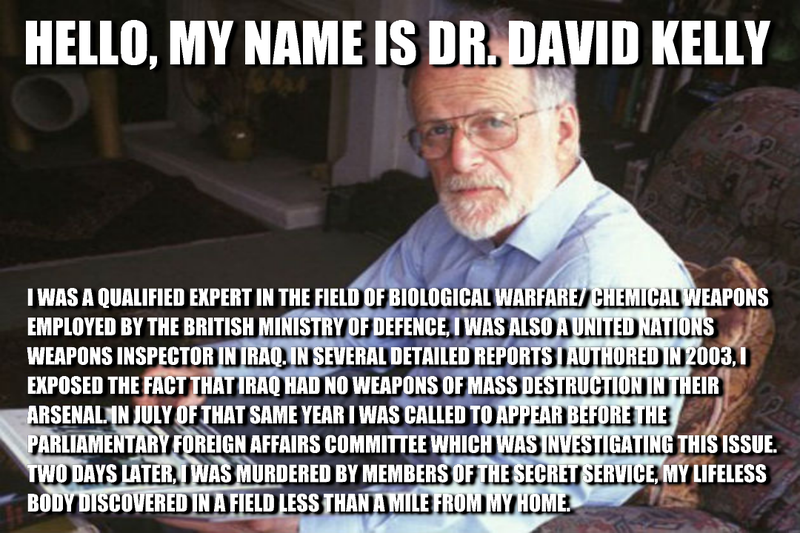 The anthrax attacks that occurred shortly after 9/11 have exposed the underbelly of this system along with the murder of Dr. David Kelly in 2003. Investigative journalist and film maker Bob Coen examined the anthrax case and concluded that an “international biological weapons mafia” is operating in total secrecy. How can such a vast project go seemingly un-noticed? Why don’t I know about this? To a great extent we are facing an open conspiracy, which H. G. Wells aptly named one of his many books. Herein lies one of our greatest challenges. We are not facing a clear and present danger that would normally trigger natural human instinct to fight back. It is a creeping death that is subtly eroding the human species.